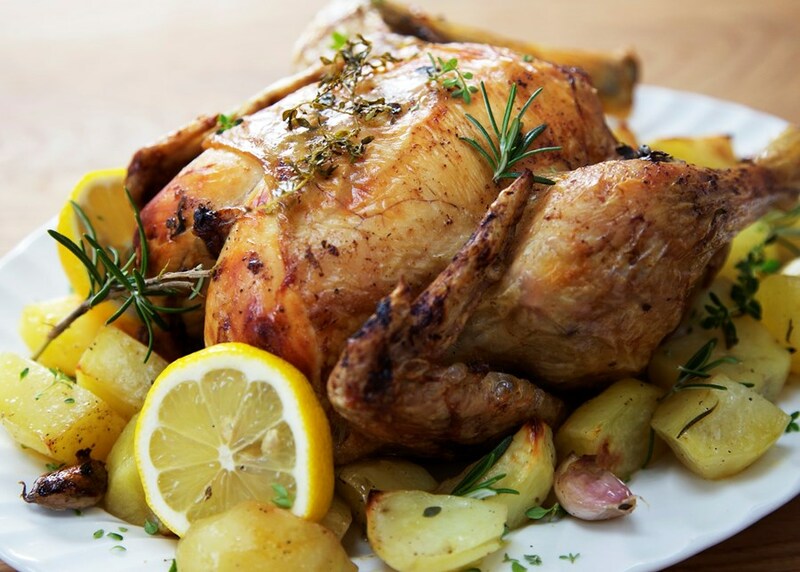 Chicken has nutrients that have a calming effect on your body and are great for reducing stress – tryptophan, Vitamin B6 and B5. Rosemary contains Carnosol and Carnosic acid – two powerful antioxidant and anti-inflammatory compounds that have been linked to reducing inflammation of muscles, blood vessels, and joints. Place chicken and potatoes into a large bowl. Pour olive oil over them, and stir to coat. Place the chicken and potato pieces in a large baking dish, or cookie sheet with sides. Sprinkle with rosemary, oregano, garlic powder, salt and pepper.